Have you ever heard the expression good fences make good neighbours? Well, who says those fences don’t need to look as stylish and attractive as your house? There are so many great designs and style choices available to bring gorgeous and elegant designer features to your home exterior. 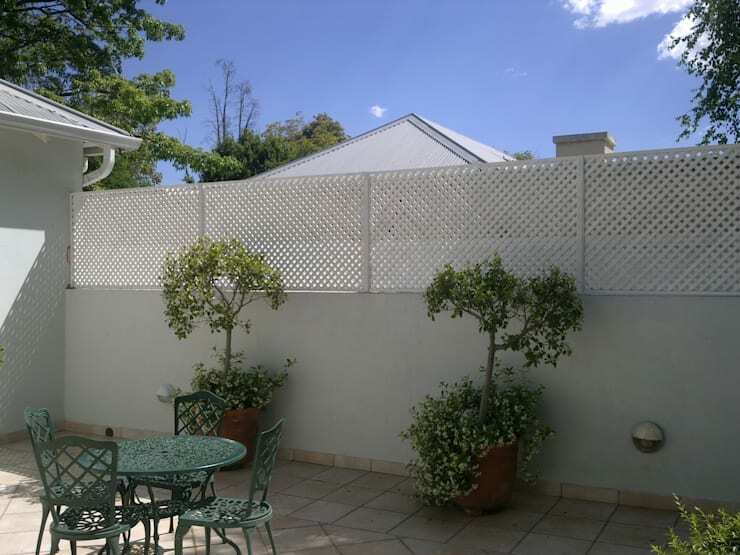 The options available to add fantasy and eye-catching appeal to your garden include simple design or even intricate detailed fences for the garden of spectacular style. This all-white diamond shaped wooden screen will ensure the privacy of the inhabitants, but also add a stylish flair to your outdoors. It’s chic and elegant, while being attractive and a designer choice to maintain security of the home. The attention to detail along with the greenery and the classic outdoor dining table make this garden a functional and tranquil place to be. 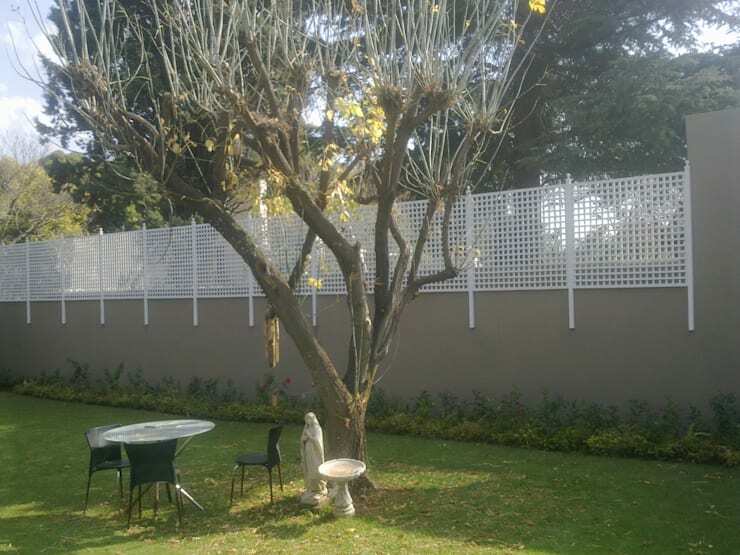 One of the first fence designs we see today is the square patterned wooden trellis above a wall, the fence is supported by steel posts and promises to make any backyard chic and attractive. 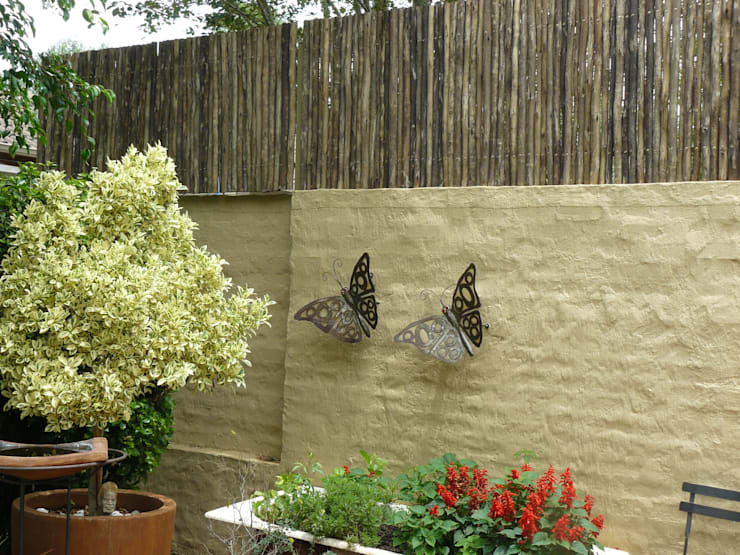 Here is another example of a wooden trellis, but this time the fence is combined with a low brick wall, this idea creates privacy, but doesn’t inhibit the outdoor space completely or block off any sunshine from the garden area. 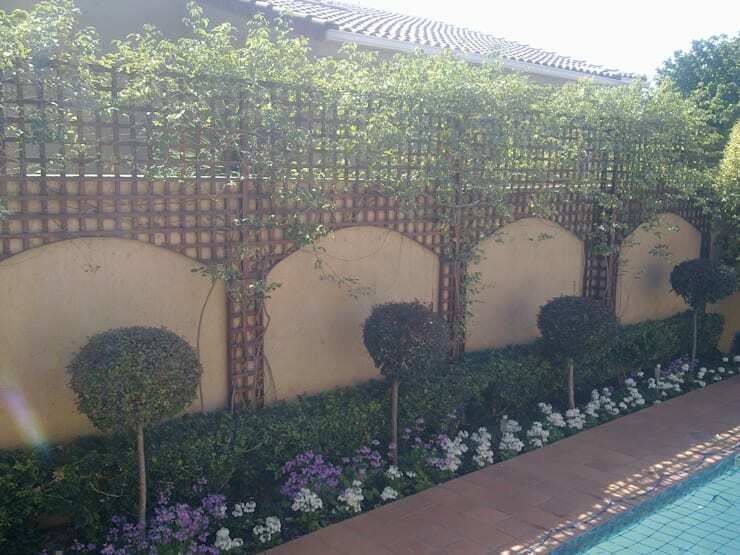 Capitalise on your outdoor space by adding a wooden diamond screen with wooden ladders and welcome creepers and vines to grow in your garden. You may want to consult a landscaper to ensure that vines can be incorporated to your exterior without any problems. 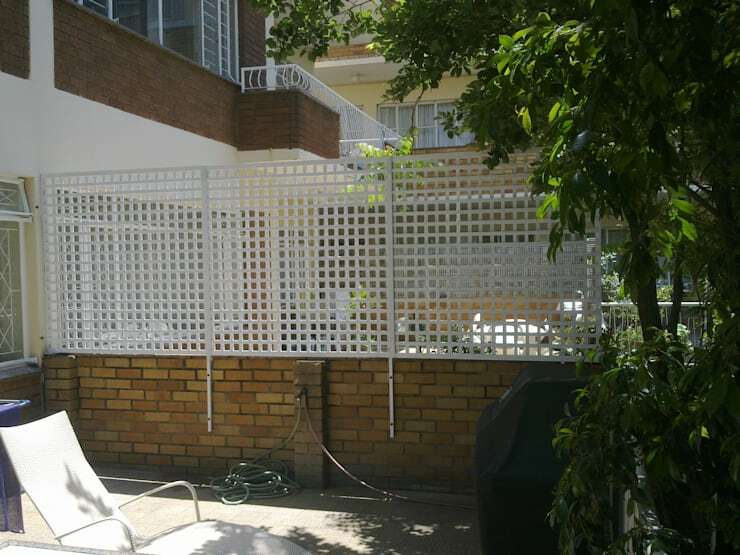 This all-white wall and trellis is a classic décor option for a backyard. The space enjoys privacy and serenity, while being creating the perfect setting of tradition especially when surrounded by the green grass that adds a charming effect. An arched trellis is a celebration of vintage style and elegance, adding a creative and elegant style to a garden that is reminiscent of a bygone era. 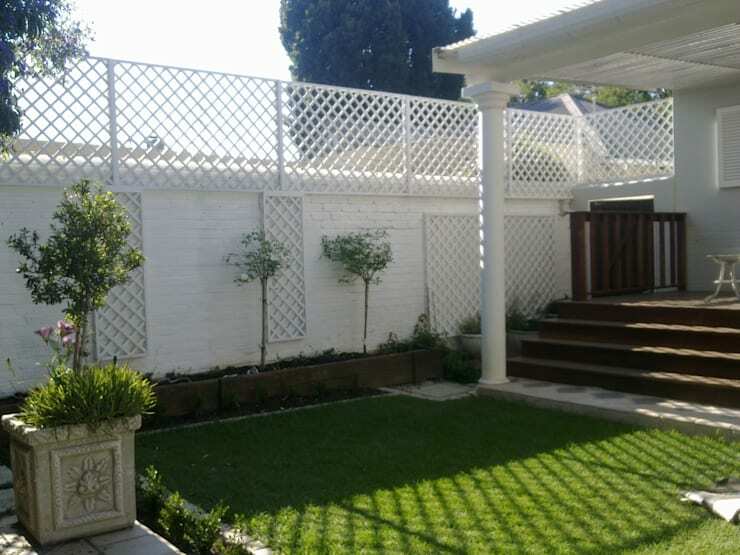 The traditional design of this trellis is enhanced by the vines growing along it and the decorative and manicured garden included below the space. 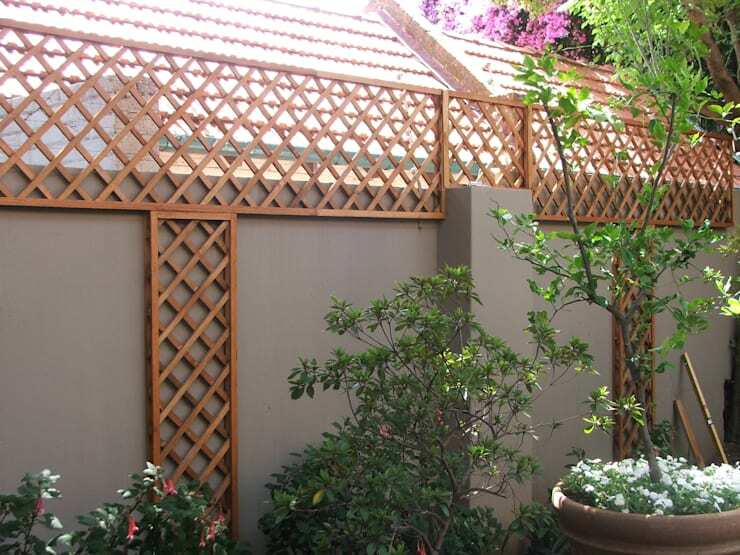 Which trellis idea would be perfect for your home?